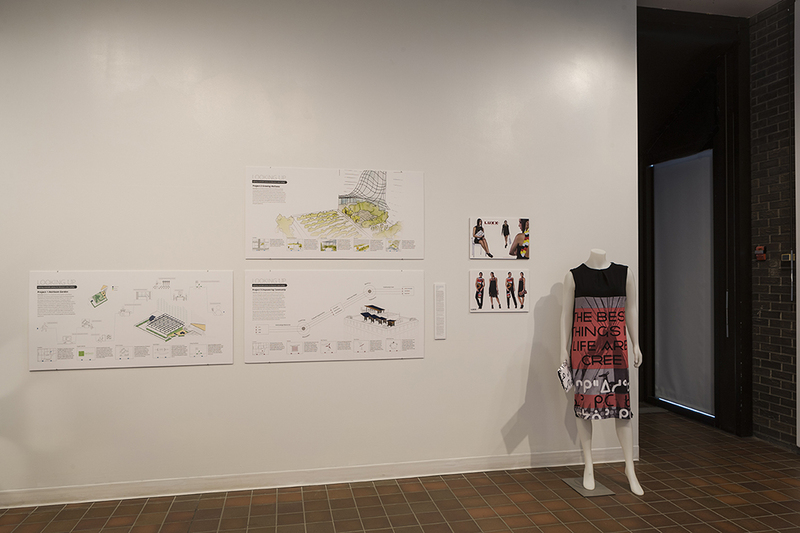 Design can create and nurture the discussion needed to evolve the holistic solutions necessary for resolving many of the complex issues that currently affect cities like Edmonton. 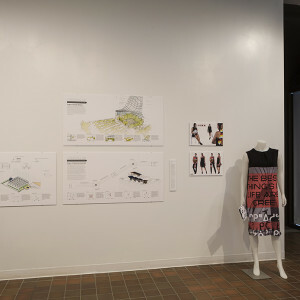 The way designer’s work is sensitive to social issues, and if applied in a considerate manor, can bridge the technological, cultural and environ- mental factors that are often in conflict with each other. 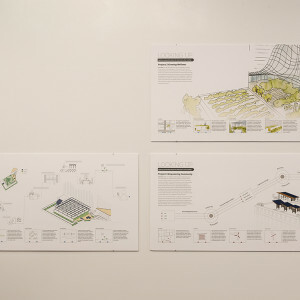 These poster presentations illustrate how three classes of design students in Art & Design consider their practice as a starting point for creating innovative and responsible design solutions that can make a difference to our city. This involves a live project for the Westin Hotel located behind the EPL in downtown Edmonton. The hotel needs to reduce its carbon footprint while redefining the guest experience. An unused patio and roofspace located adjacent to the 3rd floor spa is the location. We investigated the potential of this site to be utilised as a sustainable environment for the city center hotel, an urban ecological wellness space and a harvestable garden for use by the hotels star chef. The class assumed the culture of a working design studio; meeting the client, defining the brief, undertaking draft design development etc. This class worked on another live project, this time for the roof of the North Tower of ATB Place (formerly the Telus Tower)—one of the highest vantage points on Jasper Avenue in downtown Edmonton. The client was Triovest, the property management company. They are currently retro-fitting the towers in part to obtain LEED certification. 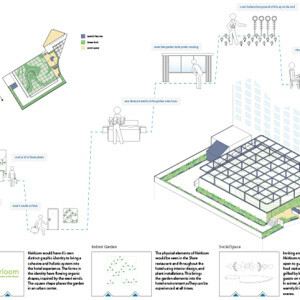 We were asked to speculate how the roof could be used as part of a sustainability project that could help Triovest better contribute to the civic infrastructure. A roof garden at such height in a northern city would prove challenging and is compounded by health and safety issues. We therefore worked on a precedent-setting project tentatively called ‘Empowering Community’. 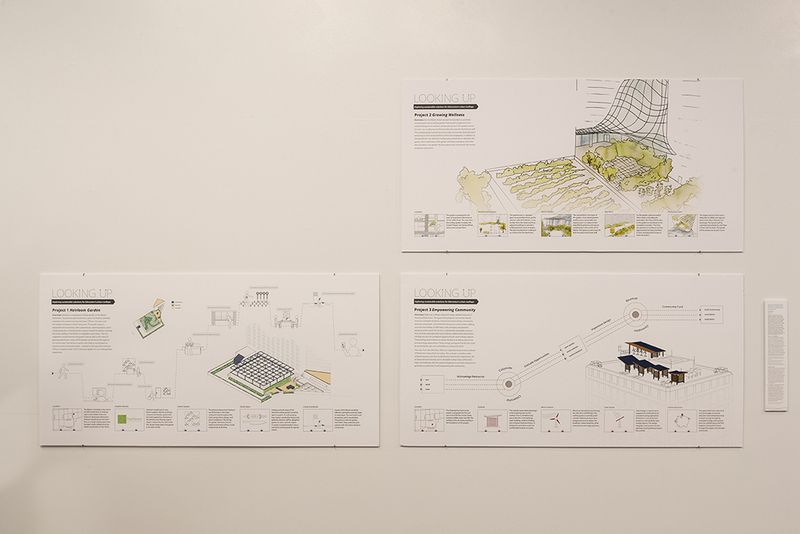 It will involve utilising the roof for maximum energy generation through renewable resources. The resultant income from selling this energy will contribute to a new fund that can facilitate First Nation entrepreneurship as well as cross-cultural communication and understanding in downtown Edmonton.